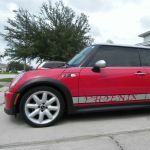 Getting a tentative list of anyone interested in receiving an RMW tune on their Mini on the dyno March 18th in orlando. Price is $350 for R53's and $500 for R56's. Expect to pick up 40 ft/lbs of tq on the R56's with improved Fuel economy. Please give me a call at the shop so I can add you to the list if your interested. Since the Original poster On NAM was blocked and we had a cancellation on the dyno day we need a couple more people to make it worth while to fly Jan in. We had planned on This weekend or early next week but with the cancellations we need to pick a new day. Anyone interested Contact me so we can lock this down. OK, quick update. Dyno is open and we currently have 3 cars. However Plane tickets are outrageous right now. Early next week there is a small window of cheaper tickets. Just waiting for the A OK form Jan. Sorry I missed this post. I would have been there. THe next one send me a PM and Ill be there! !